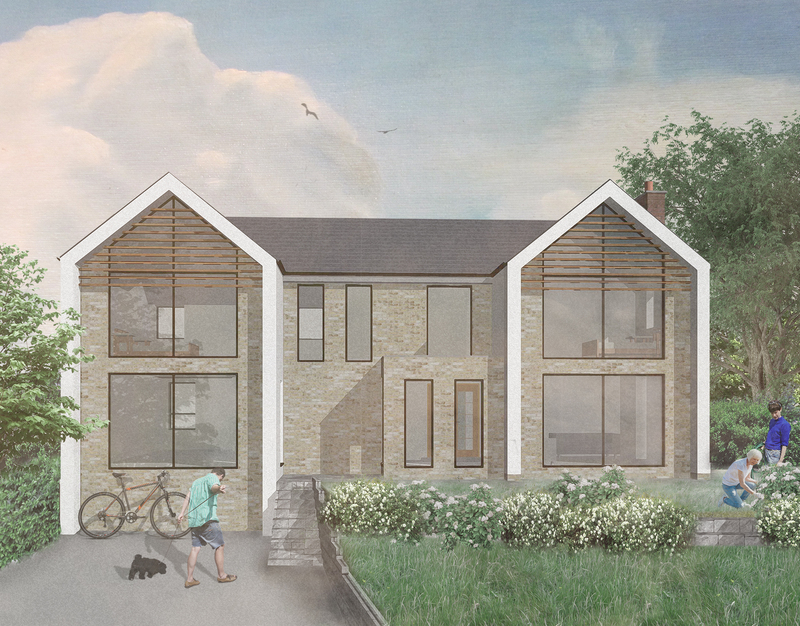 Artform Architects were approached by the client to re-design and extend their 1970’s detached house which sits on a prominent site in a residential area of Altrincham. The existing house is located within the Devisdale Conservation Area and is surrounded by period properties and late Victorian architecture however the existing house is of poor quality and of no architectural merit. 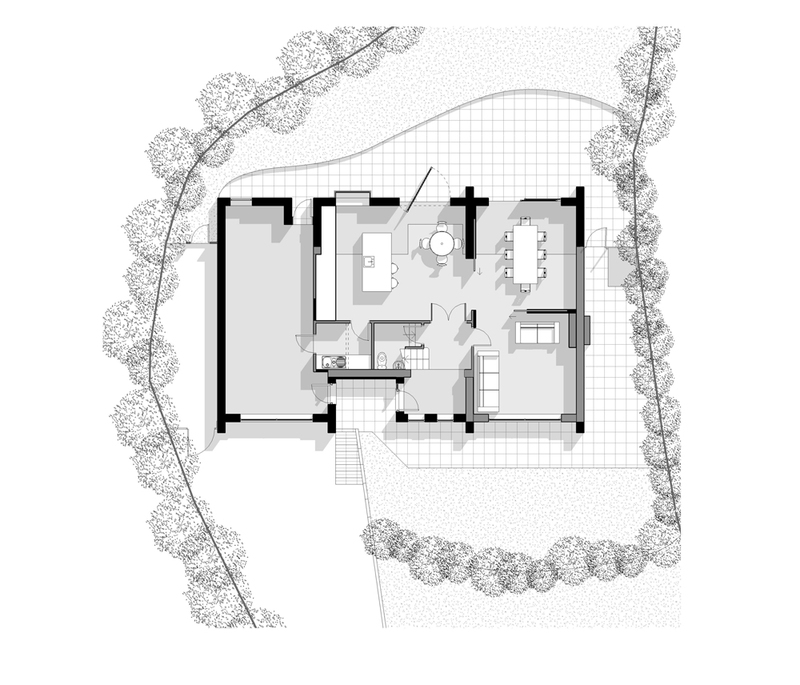 The client brief was therefore to create a modern family home with a highly contemporary aesthetic that would transform both the layout and appearance of the existing house. Our approach was to explore options for the most appropriate way of extending the property to provide the necessary space whilst still respecting the adjacent listed cottage and the character of Conservation Area. 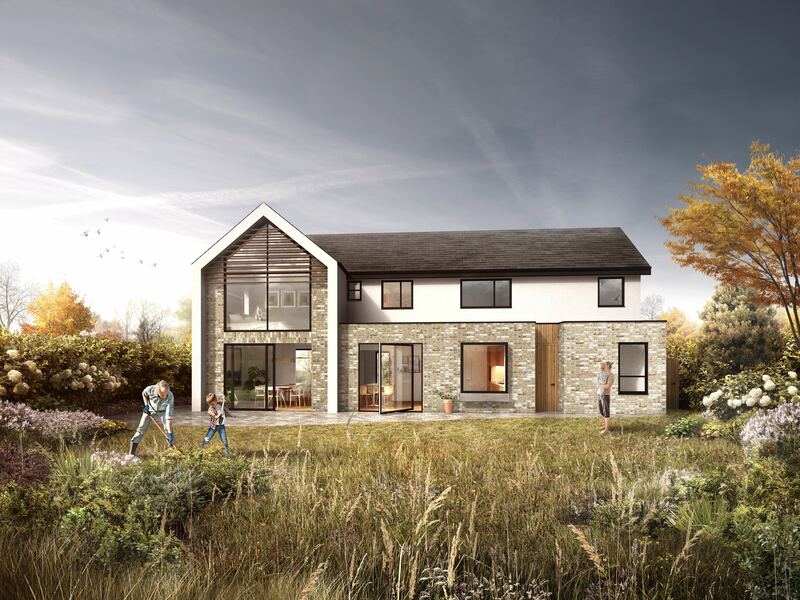 The proposed scheme creates a large kitchen/dining space across the rear with a feature pivot door to provide access to the garden and to maximise views and natural light. A glazed oriel window seat animates both the rear elevation and the internal space which opens up to the dining space and reconfigures the entrance hallway and porch. Larger bedrooms are created at first floor with remodelled layouts and bathrooms. 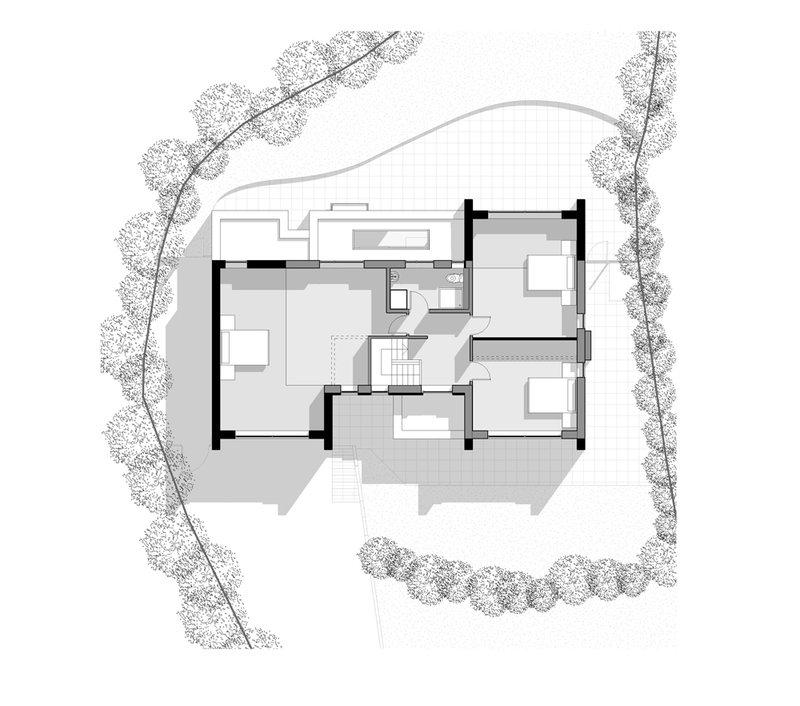 The elevations have been designed to present the house as a modern, contemporary dwelling that is a great improvement visually from the existing house. The front elevation facing the road has a largely symmetrical facade with new gable ends mirroring the style and composition of many of the more historical priorities in this area of Altrincham. The careful selection of materials and the overall approach to facade design allows the proposals to enhance the site and is an example of how contemporary architecture can work successfully within a sensitive context such as a Conservation Area.